PGM to "Lose Pounds for Winter"
Chelmer Lodge, No.342 is the third oldest surviving Lodge within the Province of Essex and older, in fact, than our Province itself; it was consecrated in 1884 into the Province of East Anglia. In all that time, the Lodge has never actually had a banner so the members resolved to put that right leading to the Dedication meeting on 11th April. 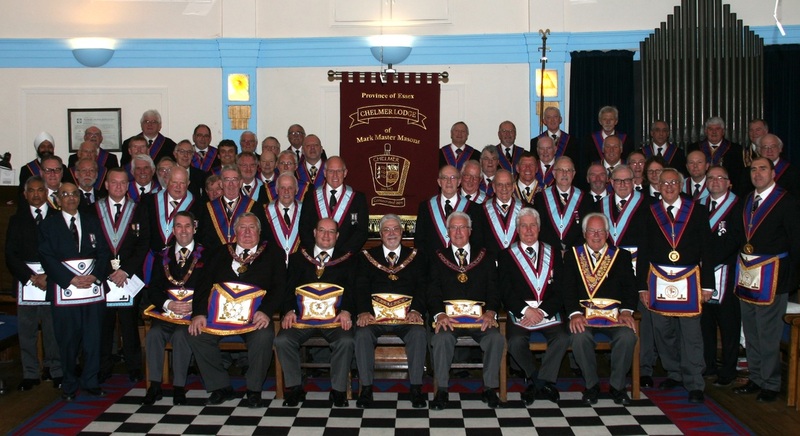 With the Provincial Grand Master in attendance; the Deputy PGM; both APGMs and accompanied by a retinue of over 30 Active Provincial Officers the Lodge enjoyed an attendance of around 80 Mark Master Masons. The Banner Bearer was W. Bro. David Rootkin and the Oration was given by W.Bro. Nigel Catchpole, Prov Gr. Chaplain, below is a copy of the Banner dedication document as well as a photograph of those attending. All present enjoyed a superb, and rare, ceremony; followed by a fine festive board held in the finest traditions of Mark Masonry.